For anyone who owns a large number of much-loved books, a custom home library is the ultimate storage solution to house your treasured collection. 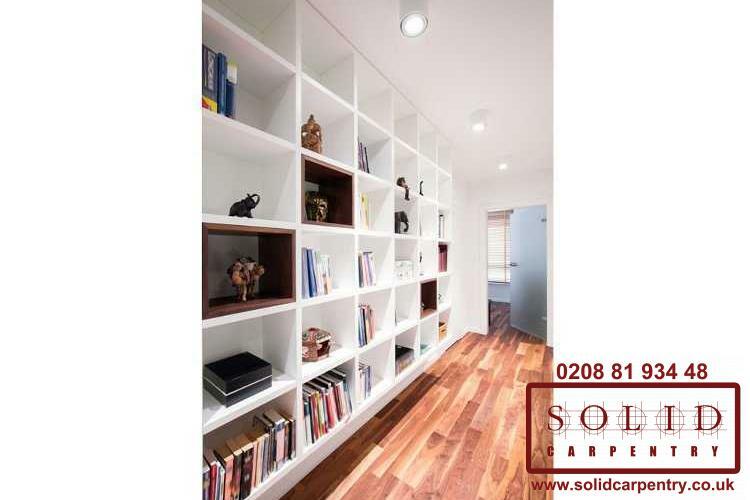 As you can see in our gallery of portfolio pictures, our team of multi-skilled carpenters have the expertise to design and install home libraries that would make any book lover proud. 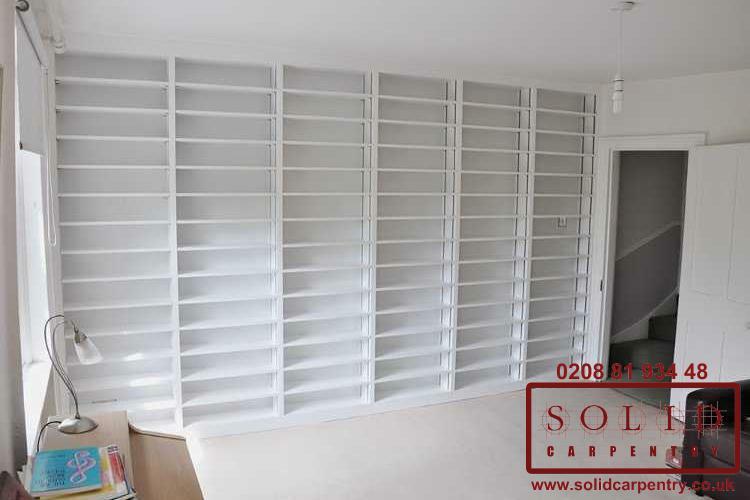 Drawing upon years of carpentry experience, the Solid Carpentry team worked closely with these homeowners to design a home library that took advantage of the available space and provided a charming storage solution for all their cherished books. 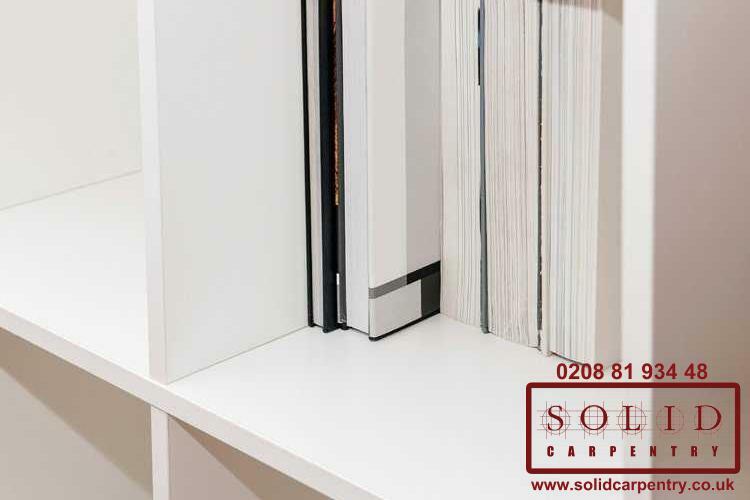 Regardless of the layout of the room, our creative and highly experienced carpenters were able to install high quality bookcases and shelving systems in modern and contemporary designs. As a result, our customers now have a space in their home that honours their love of literature and gives their book collection pride of place. With each of the home library projects featured above, our carpenters listened carefully to each individual idea and designed a home library to match their vision. 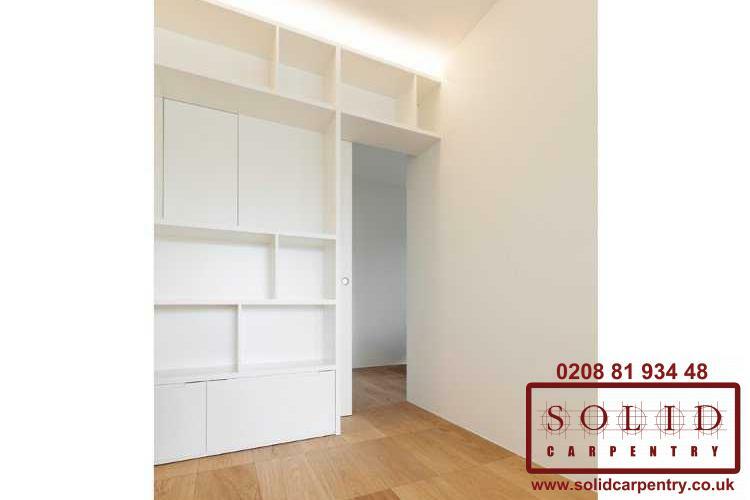 Detailed plans and computer-generated designs were provided where necessary, ensuring the end result would be everything the customer had envisioned. 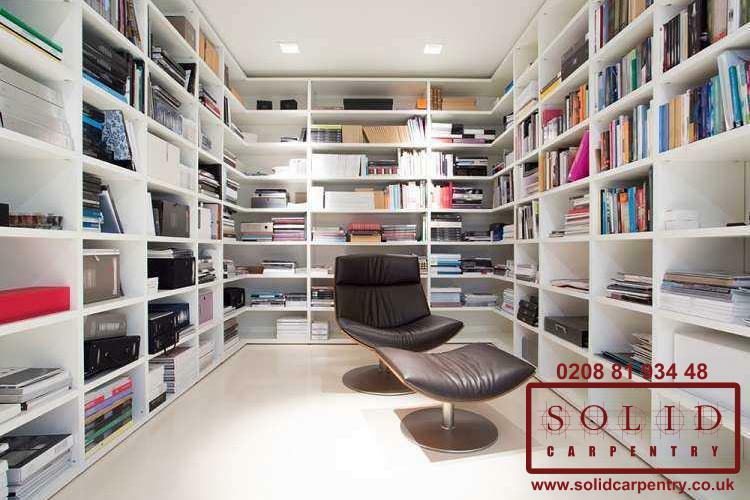 Bespoke furniture allows you to integrate a home library into your property in such a way that cannot be achieved with mass-manufactured products. 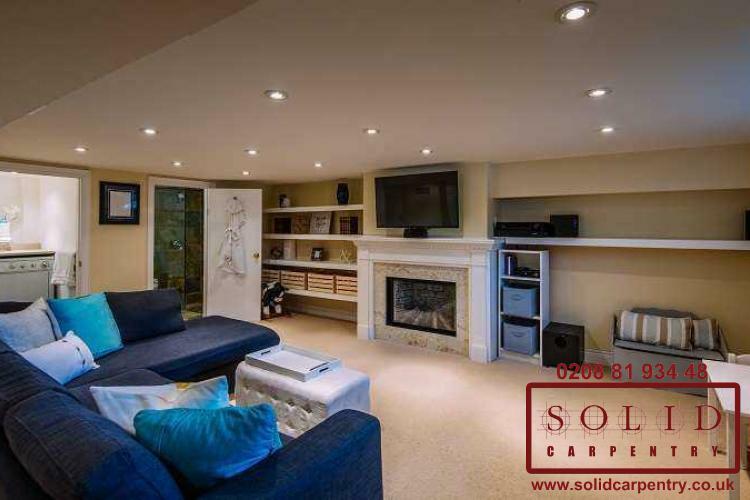 Not only can a made-to-measure library be constructed to fit the layout of your room perfectly, we can also ensure it is finished in a colour and style that complements your home décor and incorporates valuable features such as integrated lighting. Like with any other our projects, why not give your book collection the home it deserves and at the same time declutter your space? 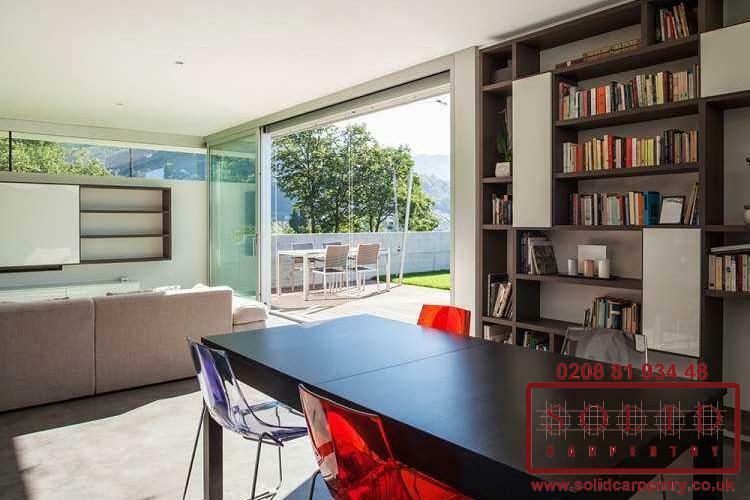 If you are in London or surrounding areas and want to discuss your custom home library ideas, contact us today for a free no-obligation consultation, or give us a call on 020 8819 3448.